Drinks 1-6 , Don't they look yummy? Give your body a break by juicing all day. I opted to avail of the 1-day Level 1 cleanse because it was the least expensive one , plus, I was new to juice diets , not to mention veggie drinks. I did not expect to lose weight , but was looking forward to ridding my body of all the nasty oily stuff I love to eat. I was looking forward to that clean, light feeling. (I admit, the fancy packaging and colorful brochure got to me too! ) 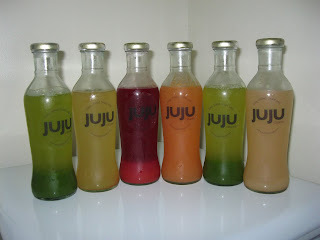 I opted to pick up my juices from the Bel-Air pick up point (you can have it delivered..) and was sooo excited to start. I scheduled my cleanse on the day I was renewing my drivers license since I had a planned leave from work. 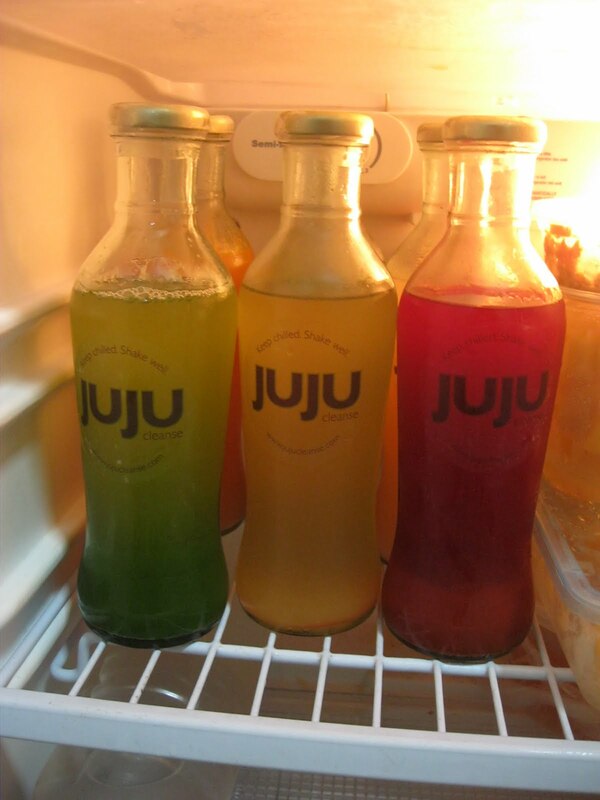 I figured the less work, the less cranky I'll be from "just juicing" the whole day! Pre-juiceing: Sipped some mint tea from fresh mint leaves that came with my kit. What a refreshing day to start the day. My tummy and tastebuds were all excited. 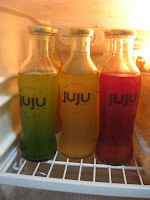 Drink 1 - The Green Bomb: There were two of these bottles in the Level 1 cleanse. It had celery, cucumber, buko juice, pineapple, malunggay, spinach, lettuce ... the smell really made me gag :-(( .. First sip --- not bad. But I really had trouble drinking it and I was not able to finish it (I left half an inch in the bottle). For future drinkers -- make sure to SHAKE IT everytime you drink. 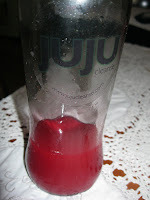 The potent stuff got stuck in the bottom for me so that was what made it soo difficult to drink! 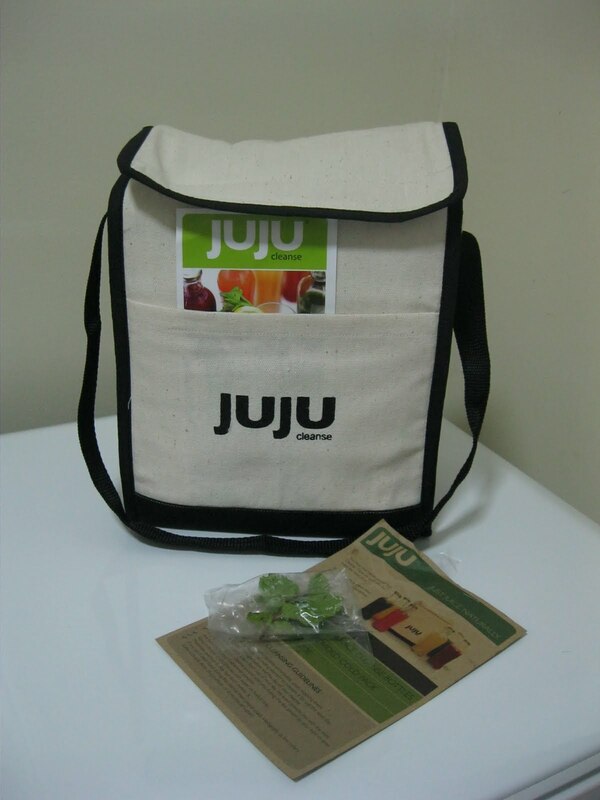 I left for LTO after the Green Bomb with a bottle of water and Drink #2 in my Juju Bag. Drink 2 - Spicy Limonada: License renewal was surprisingly fast (Ayala MRT station) so I did not get to drink this at the LTO. With the Green Bomb and water in my tummy, I didn't have problems with the mandatory wee-wee test (oops too much info!) 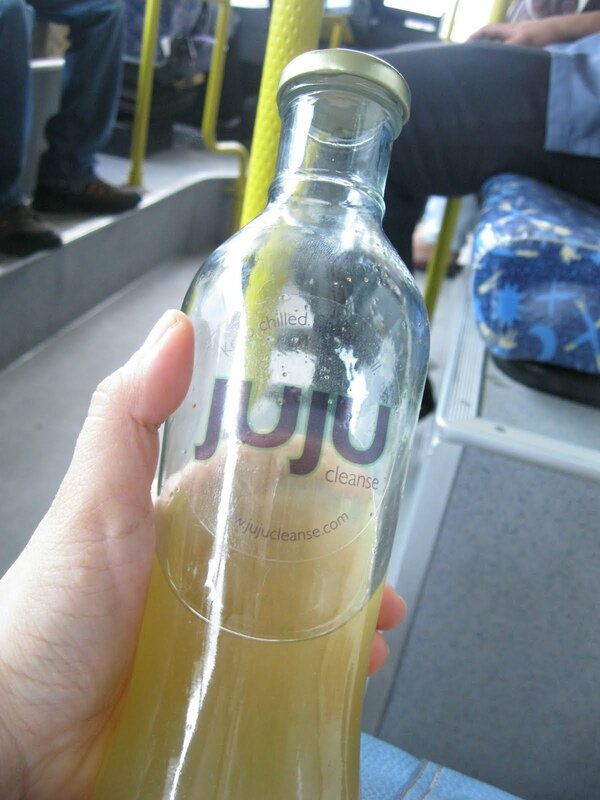 I drank Drink 2 on my way home on board the Fort Bus. I am not a fan of spicy stuff but i LOVED this drink. Refreshing lemon with spicy cayenne pepper taste trickling down your throat. Surprisingly, I felt good after drinking it up to the last drop! Drink 3 - The Red Giant: All I remember was that the main ingredient of this thing were BEETs. I didn't really know what to expect and it looked so yummy. Sort of tasted like... dirt. Haha. I cheated this one out. I did finish it BUT with the help of a (small, I swear) baked organic chips. Drink 4 - Alkazest : After the BeetJuice, I was so looking forward to this. Finally! Something close to normal! A buko juice , Grapefruit, Orange, Pineapple concoction. Tasted like Del Monte 4 seasons. Yey! 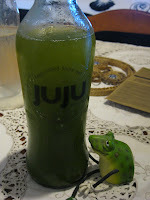 Drink 5 - Green Bomb, we meet again: Because I remembered to shake ... I was able to drink it ! I was drinking this on my way home to Laguna. So happy that I was able to drink up to the last drop! Drink 6 - Salaba't Lemon : The last drink and the most soothing one. It tasted much like the Spicy Limonada but the ginger added that extra warmth and made me feel like singing. By this time I was feeling good and actually regretted cheating the Red Giant .. :-( For drink 6 , you can choose to have it cold or warm it up a bit like tea. Was it worth it? Yeah, I believe so. Even if you are not aiming for weight loss, heck even if you just try it for the experience. It was a pure, natural, juicy adventure. The following morning , my tummy was not bloated and I was craving for healthy stuff. I did not feel hungry at all during the cleanse (it was 500ml of liquids at short intervals) and found myself even craving for a Green Bomb (!!!! I could not believe it myself) sometimes during the week! Note: The juice will not do everything for you ... it's still all about discipline and how or what you choose to eat after cleansing! 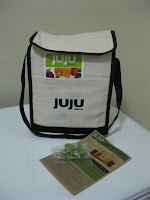 Thanks Juju folks! I promise no more chips-cheating next time for maximum effect ... and , I was wondering ... can I just order Spicy Limonada sets ;-) ? 'til next cleanse! Writer. Student. Development worker. Aspiring social entrepreneur. Trying to shrink her carbon footprint. Believes that not all wanderers are lost. Someday, will exercise more. Good luck, you better get started, you've got a long, long way to go!! Click the frog and leap over to connect with us in Multiply! Geelay's "Because I Said So"